By its open enrollment period, state insurance exchange Covered California had provided more than 3 million residents with insurance, but it still had work to do reaching stragglers who had not signed up for plans. The third time may be the charm for many campaigns, but media coverage of a political debate about the Affordable Care Act has hardly been charming. The organization, teaming with Ogilvy Public Relations, spelled out three objectives for its third enrollment campaign: persuading the remaining hard-to-convince uninsured to enroll; showing them where and how to enroll locally; and generating awareness about the three-month enrollment period. Research showed residents viewed Covered California favorably by a two-to-one margin, and 80% of every audience had heard of it. 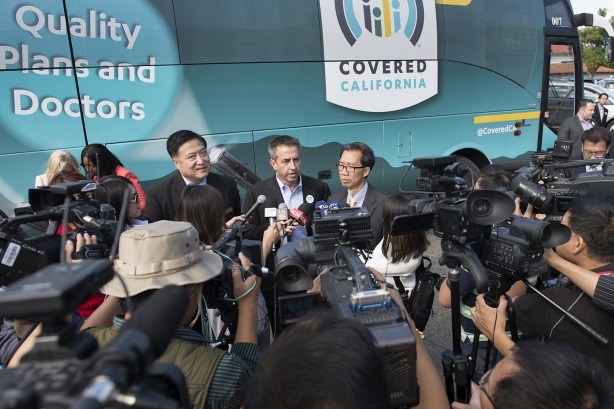 Developing the spotlight on coverage campaign, the exchange focused on reaching diverse communities up and down California with a strategy spanning a 30-city, 42-stop, 10-day bus tour covering 2,500 miles. Realizing the importance of making the effort local, it scheduled stops in both big cities and small towns and neighborhoods. The campaign received attention from more than 90 print, broadcast, and online media, including more than 20 Spanish-language outlets. National coverage totaled more than 3.5 million media impressions. Most important, by the end of open enrollment, more than 425,000 consumers had signed up to a health insurance plan through the exchange. One judge praised its "excellent use of research to identify a strategic opportunity — localizing the issue — and creative use of the bus tour to bring the campaign into people’s lives." "A classic never dies — and this campaign proves it," said a second judge. Virginia Energy Sense, the state’s energy-education program, has an ambitious goal: drop statewide energy use by 10% below 2006 levels by the year 2020. Working with Burson-Marsteller and an integrated team of vendors, the group targeted "motivated savers," or 18- to 34-year-olds who are likely to take steps to make their homes more efficient. Using a combination of earned and paid media, as well as partnerships and community outreach, the effort boosted Facebook fans by more than 400% and increased Twitter followers six-fold.